I didn't take much photos on the 3rd day. I met with my college barkada who were also in Hong Kong for a food trip TRIP! G and B came to my hotel around 11AM, we had a little breakfast at IKEA (again), then they had a look around while I bought Y and R's toys. I was suppose to buy a duvet cover but I can't remember the measurement of ours so I didn't. I brought my things to our hotel room and headed out again. Our agenda for the day was to find Cath Kidston shop, H&M and Cotton On in Central. But first, LUNCH! I took them to Tsui Wah (yes, again for me) hehe! Then had ice cream at Haagen Daz and meet with the Jubilee boys! 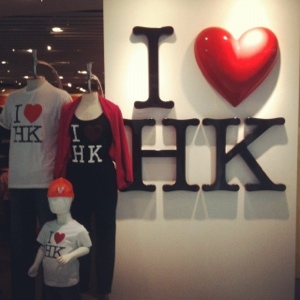 We met them at the new mall in Causeway Bay, Hysan Place which is just in front of SOGO. I'm surprised to see more and more American brands in Hong Kong, there's a Hollister, A&F and Gap! We didn't go around the mall anymore, I don't know why. We then went to Times Square to check City Super and buy make up for a friend of Achi's. We were supposed to meet with my mom and achi before going to the Cath Kidston store but they're still at the post office so kami na lang. 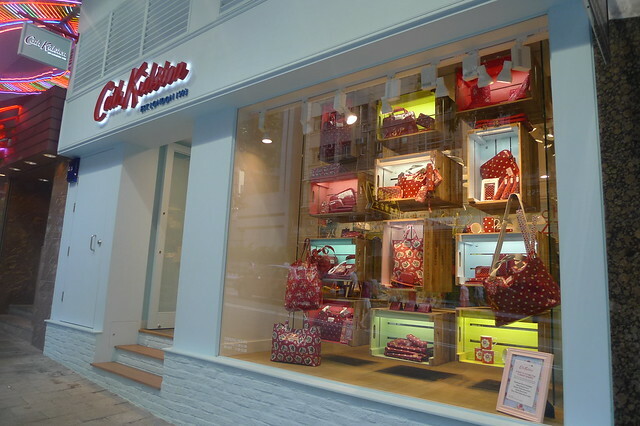 I didn't know where the Cath Kidston store is. All I have is the address, thank God for Google Maps and WI-FI in malls! We eventually found the quaint little store! Sorry no photos as I was busy picking what to buy. I can't choose between the bags I liked so I just bought I came there for: a new wallet, which I've been using since we came back! We then headed to Central to H&M, Cotton On and M&S where I shopped mostly for the kids and the BOS. We met the boys there then had dinner at Cafe de Coral. It was nice catching up with them! 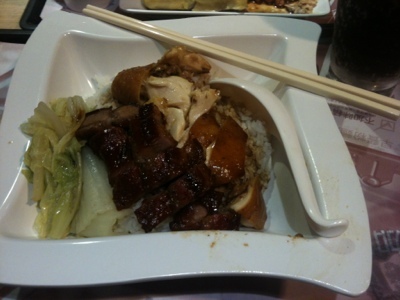 :) After dinner, we went our separate ways and met my mom and achi back at Causeway Bay. We did some last minute shopping, ate dinner at went back to the hotel to pack our things. Day 4 came, we woke up later than usual as we finished packing at 3AM. Took a bath, achi checked us out while I went to IKEA again to buy some Swedish meatballs for achi. We ate breakfast in the room before heading out to wait for the Airport Express bus so we can go to Central for city check-in which is super convenient except when you're flying with Cebu Pacific. After checking in, feeling ko may kulang! 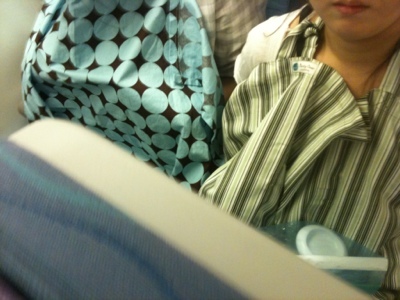 My breast pump was accidentally left by my achi in the bus! My gulay! I was already mentally readying myself that I would have to start pumping manually when I come back to Manila! But good thing when we went to their information desk, they let us checked a bus they thought we rode. They called the driver to ask if a bag was left inside the bus, they told us that the bus just went out and would be back in 20-30 minutes so we waited. Whew!!! I got the pump back! Yes I do! Giordano store at the airport! By the time we got to the airport we're super hungry na. Went thru immigration then off the restaurants we go! I ordered my lunch at Saboten! I've read it from Chuvaness. I always order at Ajisen Ramen or Popeye's so this time I wanted to try something new so I ordered their mixed katsu. 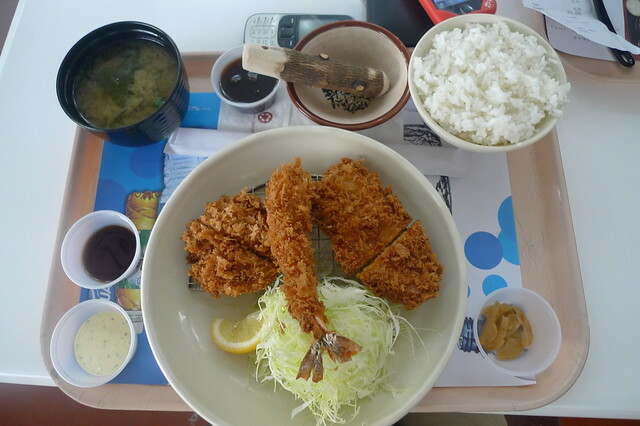 Super yummy katsu, never mind that it's expensive! Hehe! 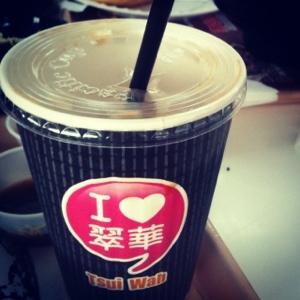 And had my last cup of HK Iced Milk Tea from Tsui Wah. Oh how I miss you so! 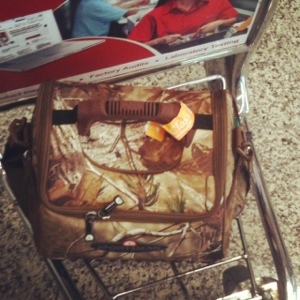 We had a few hours before our flight so we went around the shops in the airport. While they still had energy to walk, I was so tired and excited to come home. 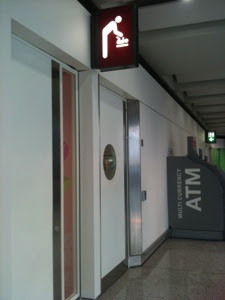 I love how HKIA is so breastfeeding friendly! I had a great trip! Though we didn't really cross out what we had for our agenda, I had a great time eating and shopping! 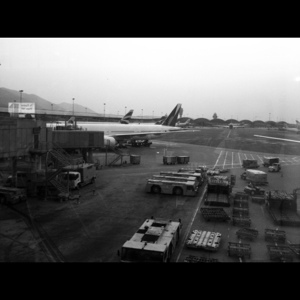 See you again soon in HK. Pumping in the plane.. Gangnam style!